Space can be a great source of wonder and fascination for many kids (and adults too!) 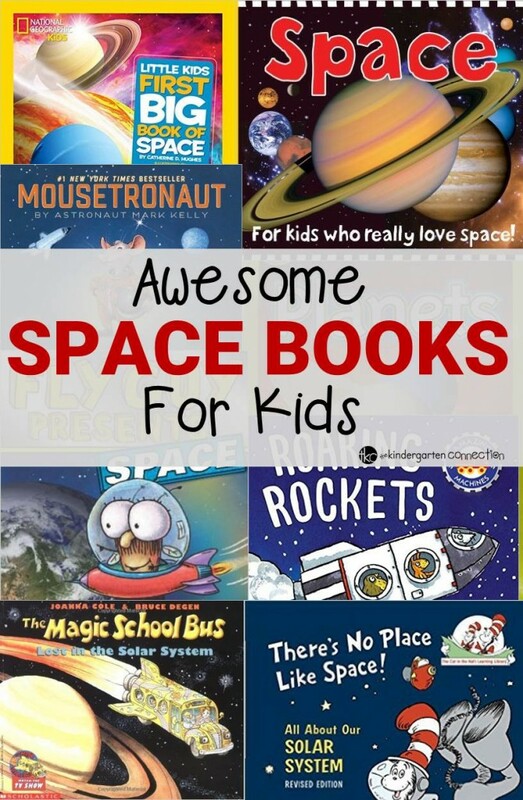 This collection of awesome space books for kids will get your little inquirers thinking, asking questions, and learning about space! Remember also that just because a text level is higher – that doesn’t mean your child still can’t enjoy the book! 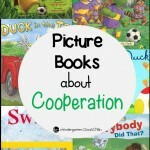 Some of these books are great to read together, but I also highly recommend just letting your child explore pictures and generate questions from there! 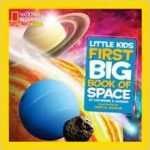 National Geographic Kids First Big Book of Space – I absolutely love National Geographic’s Little Kids Big Books series – they never disappoint! 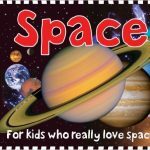 This book goes through the basics of space and the universe in a way that is highly engaging to kids with its amazing images. I like how it gives a great introduction to nonfiction text as well, such as labels, table of contents, and various text features. 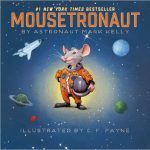 Moustronaut – Obviously by the title you can tell this isn’t 100% factual, but it is highly engaging nonetheless, while still incorporating some fact! Mice did in fact go on a space shuttle in 2001, and this is the tale of what “could have been” with those mice in a super fun, child friendly way. 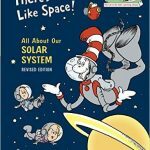 Space – I have a lot of the Smart Kids book series in my classroom. 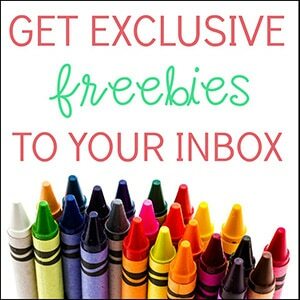 Their pictures are so engaging for my kids. 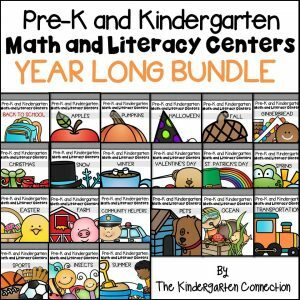 Teaching the age I do means that most of my kids don’t read yet, but with these books that doesn’t matter! So much can be learned and inquired about just by reading the pictures. 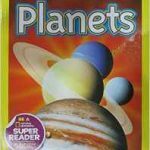 Planets – This reader is part of the National Geographic Kids series, which is always a great addition to your nonfiction library! 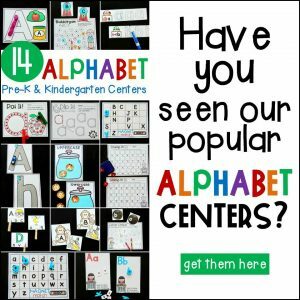 The table of contents lets kids know exactly what they will learn and explore, and the engaging pictures and interesting facts really get your kids thinking and wondering! Fly Guy Presents Space – I have a lot of Fly Guy fans. I think just the buzzing, silly character is so entertaining to kids they can’t help but want to read them! I absolutely love that they now have Fly Guy nonfiction readers. In this book, Fly Guy visits a space museum, and you can be sure that he will learn all their is to know about space! 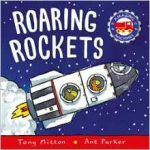 Roaring Rockets – Rockets are fascinating to kids, that’s for sure! 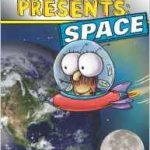 This book takes fiction characters through an informative journey to space! I love the illustrations and labels that are included for my young readers. There’s No Place Like Space! Your favorite characters (think Cat in the Hat, Sally, Thing One, and more!) 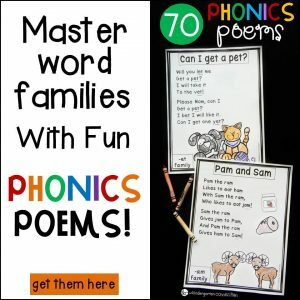 are back to take you on a reading and rhyming adventure through space! Most any of these books are ones I always want to add to my collection, simply because they are so fun! 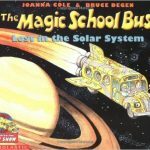 What are your favorite space books for kids? I would love to add more to my collection!